A simple yet powerful breath control technique which settles the nervous system and calms the mind. Practicing this technique regularly can help to lower stress and blood pressure levels, and provides you with the tools to quickly and easily access your inner peace wherever you are. "I've only got 5 minutes!" 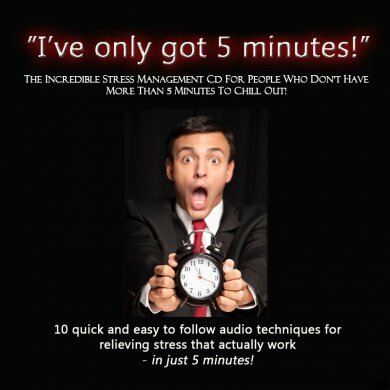 is a special meditation / stress-management tool designed for the busy, "high-flying" individual who doesn't always have 10-15 minutes to unwind/relax/de-stress. Neil Patel created an effective and efficient set of exercises that condensed Chi Kri meditation and breathing techniques into 10 formidabe 5 minutes tools. Exclusive to Chi Kri, you can now download the individual techniques, put them on your iPod or MP3 and take the world reknowned power of Chi Kri and Neil Patel with you, wherever you go!